Live the intensity of the greatest matches in RUGBY 18. Take control of the best players in the world, faithfully recreated alongside the greatest official teams and championships. 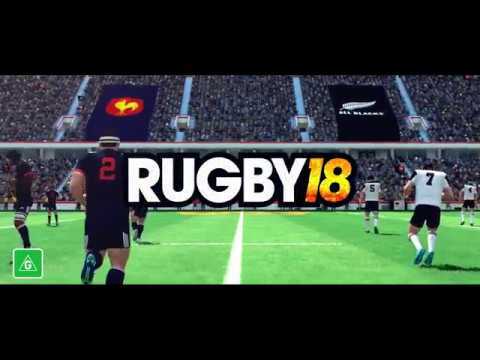 With RUGBY 18’s innovative and intuitive gameplay, various game modes and the ability to build your own squad, rugby fans are in for hours and hours of competition. Build your dream team! Guide your favourite team to the top in RUGBY 18’s Career mode. Recruit better and better players, adjust your formation and strategy between matches, and work your way up to the Elite division. My Squad mode lets you develop the team of your dreams by choosing from among over 2,000 official players. To recruit players, use the “Squad Points” that you win by playing and completing objectives in the different game modes.